A white smile has long been the hallmark of well-being. However, for many people, professional teeth whitening is not affordable, while others, are afraid of damaging the tooth enamel, and some people fundamentally ignore such a procedure. The good news is that people who do take care for their teeth are becoming more and more. What can we do ourselves, without the help of dentists, to have the best looking smile? There are time-tested ingredients that can help you for the oral hygiene and we shall give you a list of the best teeth whitening methods. All of these can be done at home, without much expense and effort. What are the reasons for tooth discoloration? What causes plaque accumulation? Coffee and tea are a morning ritual for modern people. However, excessive consumption leads to darkening of the enamel. Food or drink that can stain clothes can also stain your teeth. Dark foods and drinks, including red wine, coca-cola, chocolate and dark sauces like soy sauce or balsamic vinegar, as well as turmeric and red pepper, can affect the color of the enamel. Some fruits and vegetables also have this effect. For example, grapes, blueberries, cherries, beets and pomegranates can stain teeth due to the high content pigment substances that can adhere to the tooth enamel. Acidic foods and beverages can also contribute to the staining of the teeth as they erode the enamel which eases the pigmentation. Cigarettes are among the main enemies of white teeth. Excessive consumption of sweets, candy, cookies and chocolate leads to yellow teeth and destructs the enamel which results in cavities. To prevent stains regular brushing and rinsing of the mouth after each meal will help. What are the best teeth whitening methods that you can take advantage of at home? On the first place, you need to realize that the process lightens teeth and helps to remove stains and discoloration and improve your look. However, this is not a one-time procedure. To maintain the white color of your teeth you will need to use the chosen method (or methods) on a regular basis. What do you need to do before choosing a certain procedure? Before you choose a method to whiten your teeth you need to carefully check the state of the enamel. If you find only a yellow patina then you can cope with it at home. However, if the teeth have a gray tint, then procedures should be postponed and you need to see a dentist as soon as possible. The dentist will examine the oral cavity and tell you whether you have thinning enamel, cavities or other problems. If your teeth are healthy, you can go for home procedures.Tooth whitening is prohibited when you have any dental diseases. Do not experiment with bleaching agents. It is better use a method that has a positive feedback from people. No matter what method you are using, monitor the condition of the teeth at all time. In case you notice sensitivity or pain it is a sign that the procedure is bad for enamel. Sensitive enamel. Whitening your teeth in this case is impossible. Even natural products can damage enamels. Cavities and damaged teeth. Before whitening, make sure that everything is in order in the oral cavity. If you are allergic to soda, activated charcoal, hydrogen peroxide, tea tree oil, strawberries or lemon you should not whiten your teeth with any of these. Intolerance to these products is rare, but still check if you have it. Do not start teeth whitening procedures if you are pregnant or breast feeding your baby. After whitening procedure do not eat enamel coloring products and do not smoke. In addition, try to limit the consumption of tea and coffee. It is advisable to do the procedures in the evening, before bedtime. You can try several methods to find out the best one for yourself. For example, use baking soda for one week and activated charcoal the next one. Besides special toothpastes and mouth washing liquids, there are some simple ingredients that can help you maintain the perfect smile. 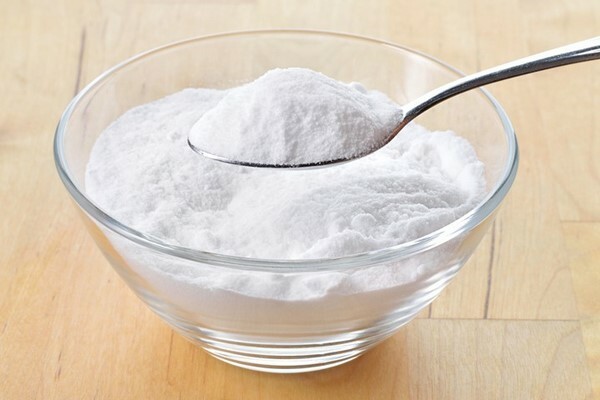 Baking soda has natural whitening properties. That is the main reason why it is one of the most popular ingredients in commercial toothpastes. Baking soda is an abrasive and can be used to scrub away teeth stains and in addition it creates an alkaline environment in your mouth, which prevents bacteria from growing. Mix a quarter of a teaspoon of soda with water and dip a toothbrush in this paste. Brush your teeth and rinse. Bear in mind that you will not see the result overnight. Soda will gradually help whiten your teeth. You can do this procedure a few times per week. Salt water has natural antibacterial properties. 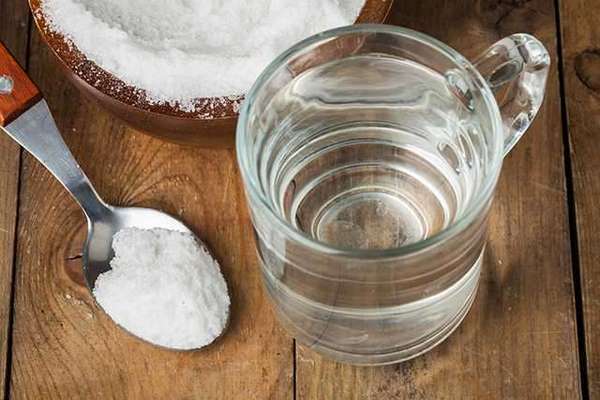 Mix a teaspoon of salt in a glass of warm boiled water, cool it and use it for rinsing the mouth. 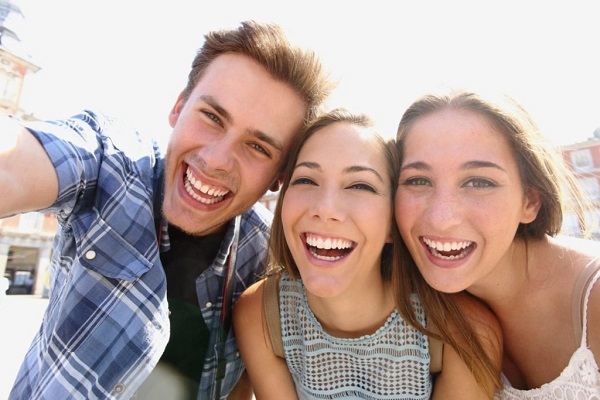 You will notice that over time tooth enamel will become whiter. 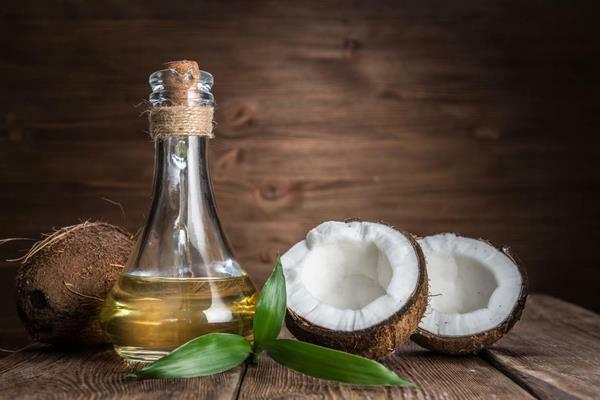 Natural coconut oil (Oil Pulling). When we eat food may stain our teeth and plaque is accumulated. Coconut oil tastes pleasantly and has a lot of health benefits. In addition, coconut oil is rich in lauric acid, which reduces inflammation and kills bacteria. Oil Pulling is a traditional Indian method for oral hygiene and is used to remove bacteria from the mouth and prevent plaque accumulation. You can use any other oil instead, for example sunflower or sesame oil. This is one of the safest teeth whitening methods due to the fact that it does not involve abrasive or acidic ingredients which erode the enamel and you can do it every day. You need one tablespoon of coconut oil. Put the oil in your mouth and push and pull it through your teeth. Do that for 10 to 20 minutes. Apple cider vinegar is a great disinfectant. 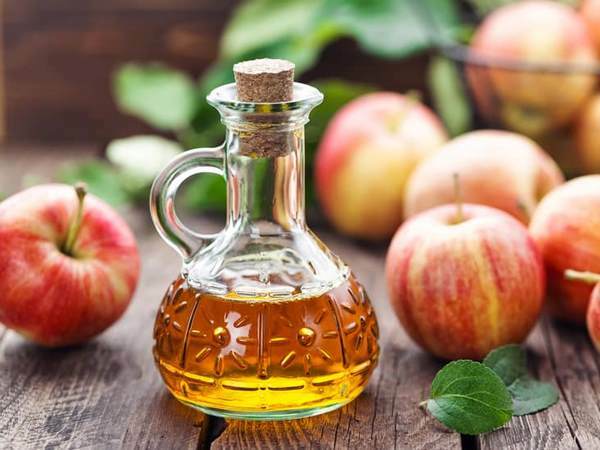 The acetic acid, which is the main ingredient of the vinegar, has antibacterial property and effectively kills bacteria. It can be used for teeth whitening but you have to be extremely careful. This method is controversial due to the fact that acids may erode the enamel on your teeth. If you decide to use it, make sure that it is not too often. Keep it in your mouth for a very short time and rinse your mouth with plain water afterwards! Strawberries are an excellent gentle treatment that you can use regularly. This natural remedy has been made popular by celebrities. 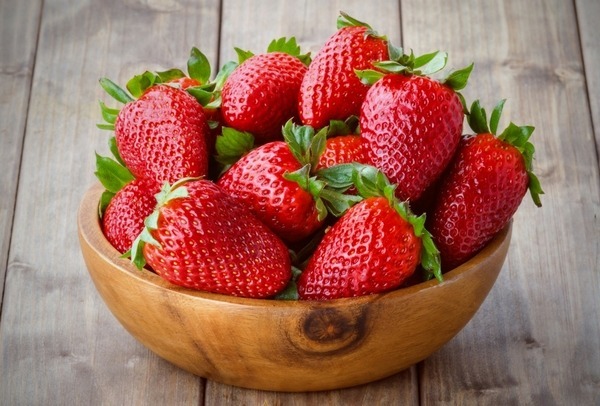 Strawberries contain malic acid which helps whiten teeth in a natural way. You need to smash up one or two fresh strawberries and combine the puree with a quarter teaspoon of baking soda. Brush the mixture on your teeth and rinse. However, you have to be very careful and not leave strawberries on the teeth. Excessive use could cause damage to tooth enamel. Limit the procedure to 2-3 times per week. In addition, the effect is minimal so do not expect miracles overnight. 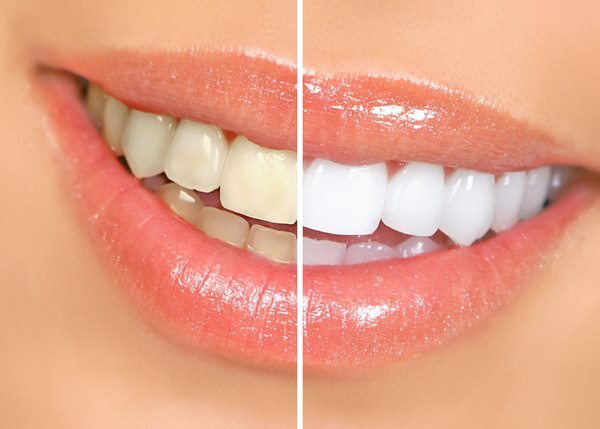 Hydrogen peroxide is found in many commercial whitening products due to the fact that it is a natural bleaching agent. It can kill bacteria in your mouth so you can use it for teeth whitening. Usually, hydrogen peroxide is sold as a 3% concentration solution and can be found in drugstores. It is recommended that you use a 1.5%concentration so make sure that you mix equal parts peroxide and water.There are several ways to use it but make sure that you limit the number of procedures to 3-4 times per week. Overuse can erode your tooth enamel. Moisten a cotton wool pad with a small amount of hydrogen peroxide and wipe the teeth. Then brush your teeth with a regular paste. The effect will be noticeable. Do not forget to rinse the mouth. 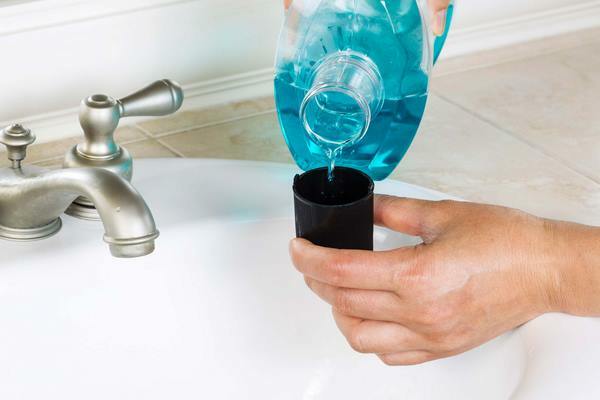 Hydrogen peroxide can be used as a mouthwash before you brush your teeth. Just make sure that you are using a 1.5% solution. You can mix 2 teaspoons of hydrogen peroxide with 1 teaspoon of baking soda and use the mixture as toothpaste. Brush your teeth and rinse with clear water. 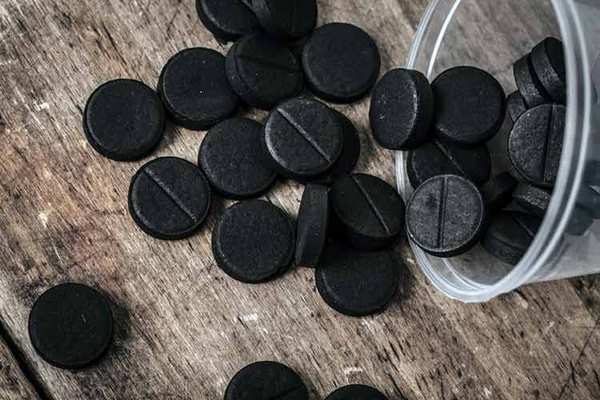 Activated charcoal helps whiten teeth due to the fact that it absorbs plaque and other particles that may cause staining. Use this method twice a week. Honey and salt paste has a healing and whitening effect. 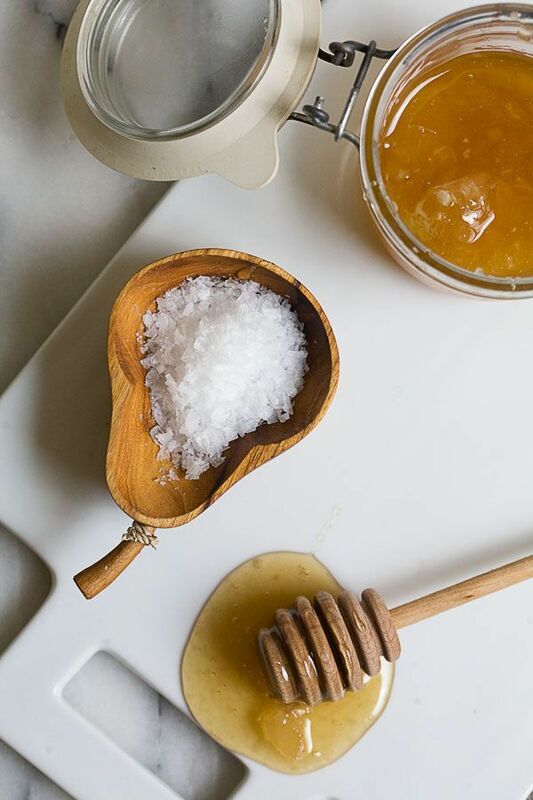 Natural honey is mixed with fine salt. Rub your teeth with the mixture and rinse well. Perform the procedure maximum twice a week. Some time after using these methods, your teeth will be white and beautiful. 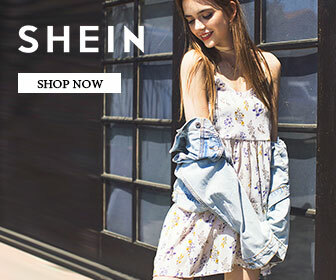 At the same time, you will not need to spend a lot of money on teeth whitening, and the result will surprise you positively. Remember that smoking, coffee and strong tea can ruin all your efforts. Therefore, try to minimize the consumption of such drinks, and it will be even better if you quit smoking.